Well folks, according to my blogger stats it is officially May (Bitterblue and City of Lost Souls here I come!) That also brings to a close my haiku contest. Here are my three entries vying to win! As you can see I have a poll up, and just vote for which one you like the most! 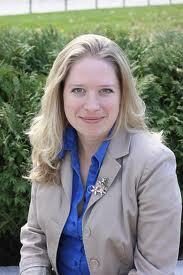 Laura Schaefer is the author of Notes to Self, which she wrote under her nom de plume, Avery Sawyer. She was kind enough to answer a few questions for me today. 1. What was your inspiration for Notes to Self? 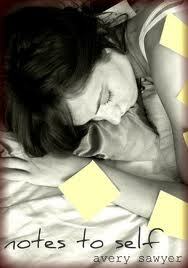 I began Notes to Self after the “25 Things About Me” Facebook meme went viral. Over 5 million people wrote these lists and I thought they formed the perfect framework for a YA novel. Some of the things people included in their lists were so evocative or poignant that I thought the whole concept would work well in a longer format. In fact, the first title for Notes to Self was 25 Things About Me. But as time went on and the meme faded from people’s memories, I decided to abandon that title and the strict number of “things.” Notes to Self ended up being weightier in tone than I had originally anticipated, so I’m glad the title is a bit more solemn. 2. How is Notes to Self different from other books you have written? It’s extremely different. My other books, The Teashop Girls and The Secret Ingredient, are for a younger audience and could be described as wholesome and cozy. Both have emotional depth, but they aren’t as angsty or as gritty as Notes to Self. I felt I was really stretching myself as a writer by taking on this project. Notes to Self reflects a darker sensibility and asks questions about what to do when life is anything but cozy and reassuring. I believe both kinds of books have value. Sometimes you want to curl up with a sweet story and drink tea, and sometimes you want to dive into something darker. 3. Are you working on any new projects right now? Yes. I’m devoting a lot of time to my non-fiction series called Planet Explorers, which are e-book travel guides for tweens. I’m also doing research on my next novel, which will be another dark YA story called The Conjurer. I’m really excited about it—I want to tell everyone everything about it, but I think I should probably write it first before I get too ahead of myself. I didn’t know until I graduated from college. I had dabbled in writing book reviews for many years by that point, but didn’t get serious about writing until I had to make a living. I began as a curriculum writer and magazine article writer and gradually got more and more ambitious as the years went on. I started writing The Teashop Girls in 2005 and that was the moment when I knew that books were what I really wanted to be doing. Articles and standardized test questions paid the bills, but novels are so satisfying to create. 5. Which authors have influenced you the most? I read a lot, and I’m constantly inspired by other authors. I love Judy Blume, Beverly Cleary, Lois Lowry, E.L. Konigsburg, Madeleine L’Engle, Betty Smith, Dodie Smith, Neil Gaiman, and Meg Cabot. I read more middle grade and YA novels than anything else, but that’s because I think of it as part of my job (in a good way…I love reading and calling it work). 6. What is your favorite part about being a writer? 7. What is your least favorite part? Worrying about money, not having health insurance, waiting for people to read my stuff, uncertainty about the future. Being a writer isn’t always easy, but on balance I’ve been very fortunate and I can’t really imagine being anything else. 8. What advice would you give to budding authors? Read all the time, and when you’re not reading, write. Embrace the fact that your first draft won’t be awesome and plan to revise a lot. Engage with other writers either in your town or online so you don’t feel alone. If you want to make a living as a writer, you’ll either have to get incredibly lucky early on, or you’ll have to write a great volume of material. Embrace that. Being prolific is a great way to get better. Pay attention to trends in the market, but don’t let them rule you. Some trends might fit with your writing sensibility and some won’t. A. 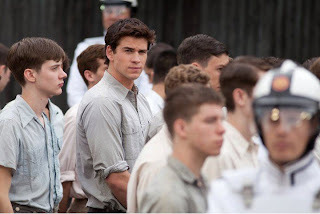 At the beginning of the Hunger Games Trilogy I was on "Team Gale", and I was on that team pretty much until the end of Mockingjay when I was like... really? 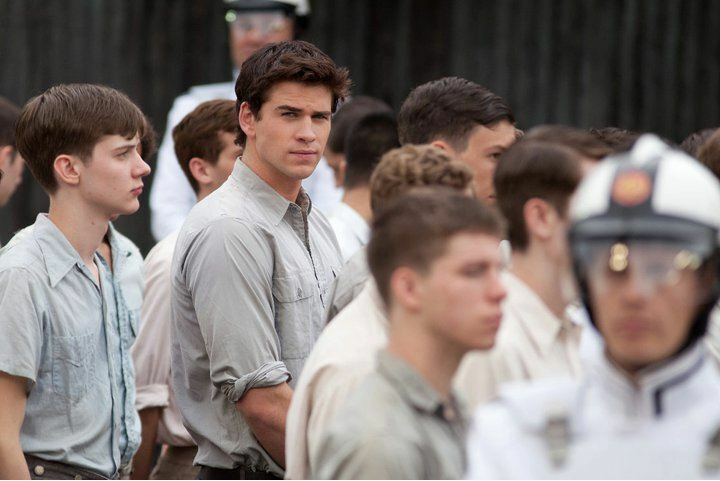 I have been very pro-Peeta ever since. I'm not going to spoil anything for those of you that haven't read it yet, but for those of you who have, I think you understand the parts I am referring to. 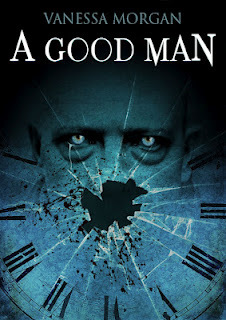 Follow this link for a chance to win A Good Man. Notes to Self is a wonderful moving YA read. I was immediately intrigued by the synopsis, but when I read it, there was so much more to the book than just a girl recovering from a head injury. I loved how Avery Sawyer was able to weave in so much into the book, from family issues to the confusing feelings of young love. It was very believable and not sugar-coated, which I really appreciate. I loved learning about Robin through both her day-to-day struggle adjusting to her new life and recovering her memories from the fall, and through a series of flashbacks throughout the book. There are many intense themes in the book, some references to teens using alcohol and smoking, and adult language, but I didn’t think anything was too bad for anyone above 7th or 8th grade, depending on what bothers them. Notes to Self is a well-written novel and I definitely recommend it, especially if you enjoy books like If I Stay. It is a very real and touching story that keeps the reader immersed until the very end. A. Wow, hmm... There are so many different ones I want to chose! One pairing that i would like to see is Magnus Bane from Cassie Clare's books against Bartimaues from the Bartimaues Trilogy. I can't decide if I would rather see them duke it out with magic, or a battle of wits! p.s. To enter my Haiku contest, all you have to do is leave your haiku and email in the comments below to submit! Hi everyone! I just have a couple of cool things to post about and have decided to mix them together. A couple of months ago I was contacted by someone who was developing a weight loss app/website and was asking for feedback. I thought the contact was a little bit random since I am a book blogger, and haven't even reviewed a book with any sort of dieting or weight loss theme in it, but I gave my two cents anyway. I just contacted again this week that the site is up and thought I'd just share the link since their idea is really interesting and not something I have come across before, it is called SlimKicker. The author of a book on my to-review queue is raising money for a 2nd edition of his book. While I haven't read the book myself yet I have heard great things about it and am really looking forward to getting to it. If you are interested in giving to the fundraiser, there are also a lot of cool rewards you can get from giving. The link is HERE. I am still looking for submissions for my haiku contest! All you have to do to submit is leave a haiku with your email in the comments. If you would like to see some examples, just scroll to the bottom of THIS PAGE and you can see the other submissions. I'm sure many of you have seen this already, but the book trailer for City of Lost Souls came out and the link to the trailer is HERE. After the Eclipse – the night vampires began openly slaughtering human victims – everything changed. Out of fear, the government salvaged what remained of the human population and enclosed them in massive, security-laden cities called White Sectors, while marking the vampire-infested territory as Red Sectors. The Scarlet Dagger was a brilliant, fast-paced, well-written beginning to an exciting series. As a reader I don’t usually pick up vampire books, but I am so glad I agreed to review this one. Sloane is a very strong character with a lot of depth and the story is told in first person through her perspective. Not only did I love reading about her, but loved reading about the supporting characters as well, they all had their own distinct personality. The plot was very fast-paced and kept me wanting more. The plot twist at the end took me by surprise and am at the edge of my seat in anticipation to read the next installment. I highly recommend this book to anyone who enjoys Young Adult Fantasy/Dystopian. It is intense and mysterious and has a gorgeous cover to boot. I can’t wait to see what Krystle Jones will cook up next! A: My choice is already scheduled to be turned into feature film in the foreseeable future: City of Bones. I am really worried because it is the first book to one of my favorite series and I really want the movie to do it justice! p.s. Be sure to check out my Haiku contest HERE. 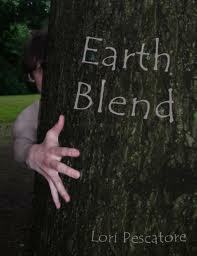 Earth Blend was a great sequel to Human Blend, the plot twists and action kept the pages turning! I really liked seeing more of the Earthlings in this book and learning about them and who they are. Lori Pescatore does a great job conveying the characters emotions, and all of them had depth and personality, even if they did not play a big role. The first few chapters are a series of different stories that follow various characters and an important backstory of theirs. While I did understand some things better in the story and after learning these backstories, they seemed a little bit jerky to me. Overall, Earth Blend is an exciting sequel, and if you liked Human Blend you should definitely get your hands on a copy of this book. I would not recommend reading these books out of order it would be very hard to follow if not read chronologically. I am anxiously anticipating the final book in the Blend Trilogy. This is a fun and exciting series for fans of YA Fantasy and Science Fiction and I recommend you check it out! A: I actually can't say I remember buying a book because of a bad review. Usually I am most swayed by positive reviews. I suppose if it was a really bad review I would be interested in reading it, but I wouldn't want to buy it, probably borrow it or get it from the library. In other news: I am hosting my third annual haiku contest and I would love it if you guys would all check it out! Here is the link to the page for further information. This is the third year I have hosted a haiku contest in April - National Poetry Month. This will be the first year I actually have a prize to give to the winner. I know it will be a book of poetry, but I am still deciding which one to give right now. If you want to enter now, all you have to do is leave your haiku and email in the comments, or if you want more info first, be sure to check out THE PAGE! The Deliverer is a very exciting story that begins on Earth with Silas and his grandfather, Garland. Not long after, Silas enters Marenon after being killed in a fight against mysterious beasts known as Stühocs. From the moment Silas enters Marenon, he begins travelling throughout Marenon, meeting up with a band of mercenaries and seeing the many different terrains of this new land. I really enjoyed reading about the wonderfully described world and well-developed characters, there was never a dull moment. 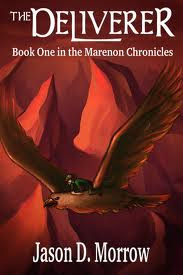 While The Deliverer starts on Earth, the majority of the book takes place on Marenon, bringing to mind other High Fantasy tales such as The Lord of the Rings and The Inheritance Cycle. Jason Morrow definitely leaves many questions unanswered in his first book The Deliverer, the sequel to which is called The Gatekeeper and is scheduled to come out this month. I would recommend it to readers of fantasy, especially High Fantasy, but think it is an entertaining Young Adult read for anyone in search of an epic tale to immerse themself in.